We teamed with Lavender & Truffles to host a delicious dinner in the heart of Los Angeles. This summer we spent weeks in LA and set about covering this near and dear city and all it has to offer. We hit the town from sea to city catching up with designers and tastemakers and booked it to the beach for our Chapter 6 cover shoot with Jasmine Sanders (check out Malibu Barbie [UN]COVERED here). Splitting our time between Malibu and Laurel Canyon, we took a moment to host 22 friends in the hills with a meal that combined Moroccan, Chinese, and Korean flavors. In her signature eclectic style of cooking, Alicia Liu of L&T conceived a menu that included kimchi, oxtail, and cous cous peppered with flavors of sesame, ginger, cinnamon-- to name a few. Alicia’s eclectic vibe is what we love most about her cooking and entertaining style, and what makes Lavender & Truffles so very Story + Rain. Needless to say, we clamored to curate the décor to match. 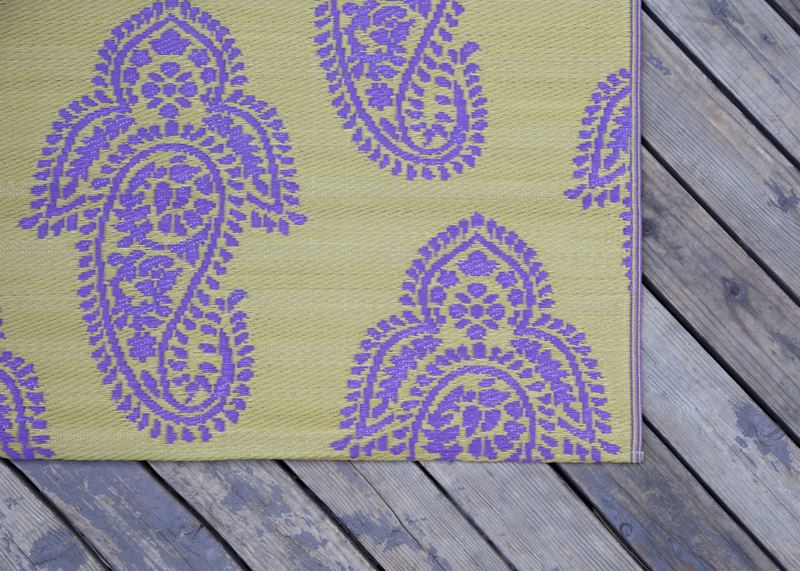 WHAT: purples, mustards, oranges, spice hues. Moroccan etched glass and mixed prints; multicolored flowers, tagines, gauzy canopies, woven floor mats, mini cactuses, colored glass. 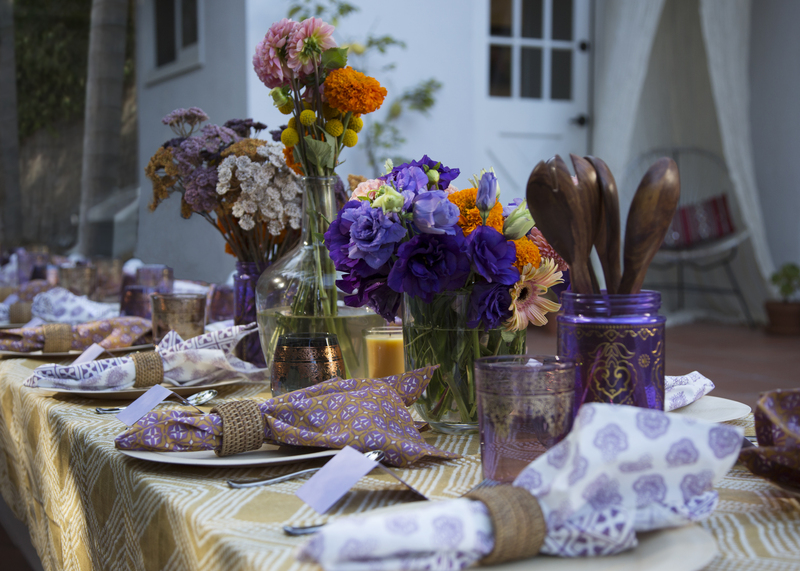 We cleverly used etched canisters to hold serving utensils and flowers and repurposed curtains as tablecloths. 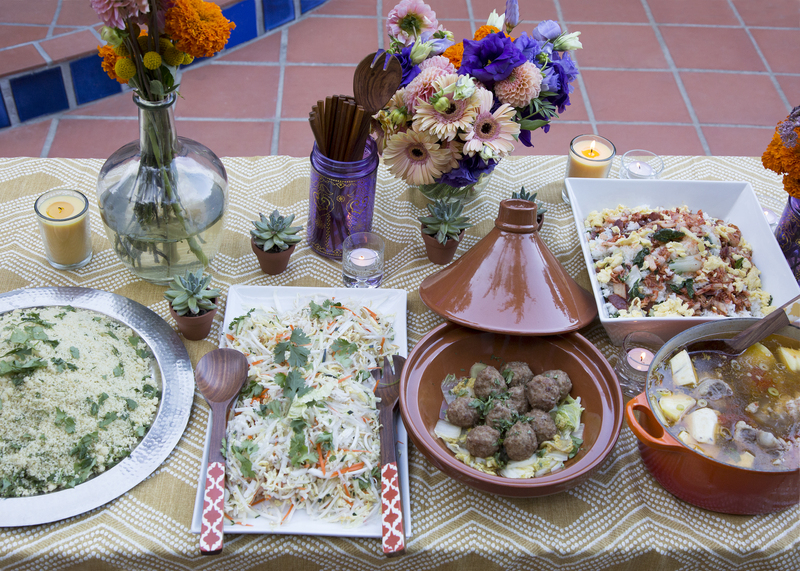 A traditional tagine was placed on the table almost as a centerpiece, and housed atypical ingredients: Alicia’s Chinese meatballs served over napa cabbage. Both mustard hued and ombre glass candles filled the table; woven napkin rings were combined with fabric napkins in 3 different prints. WHAT: Asian Slaw with Chicken in Sesame Dressing; Herbed Cous Cous; Oxtail Based Stew; Kimchi Fried Rice; Ginger Meatballs Over Napa Cabbage; Orange Slices with Cinnamon and Rose Water; Mint Tea Cocktail. All dishes were served buffet style. 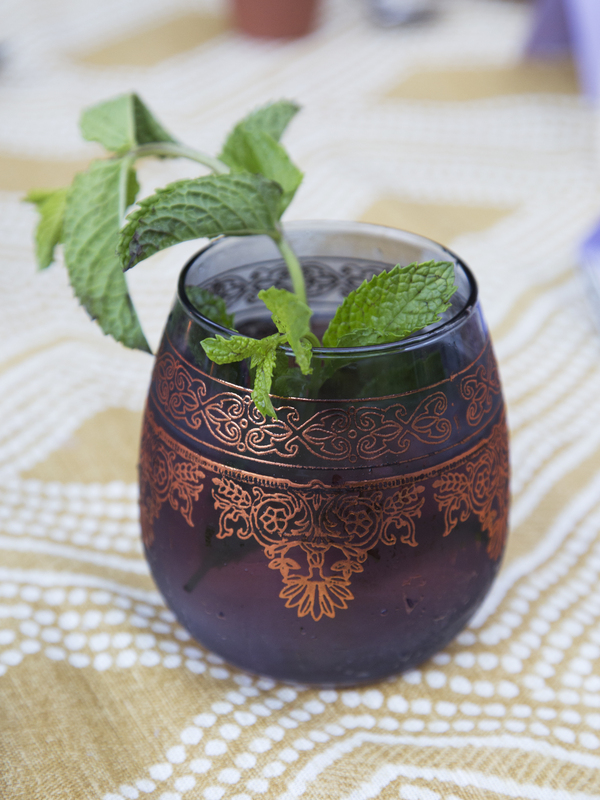 Our Mint Tea Cocktail in a glass that mimics the style of a traditional Moroccan tea glass. 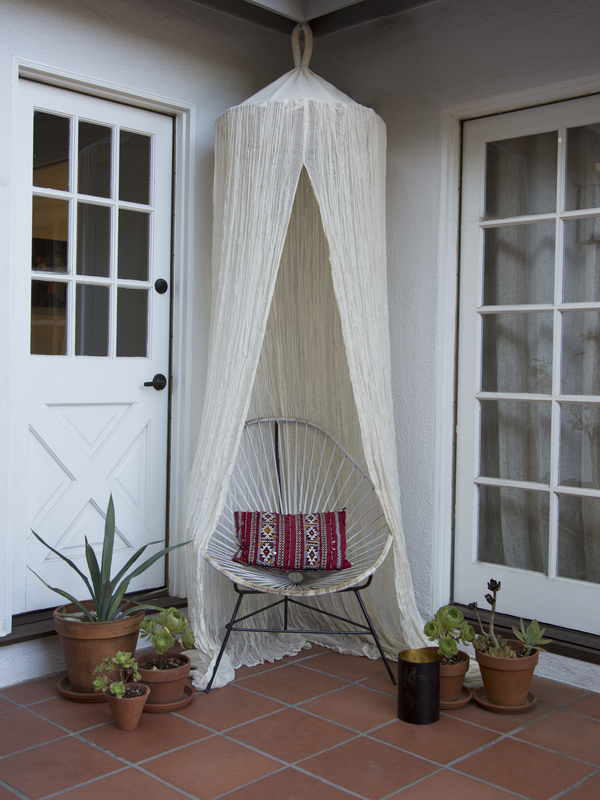 A gauzy canopy hung above a chair became a great spot for taking pictures. 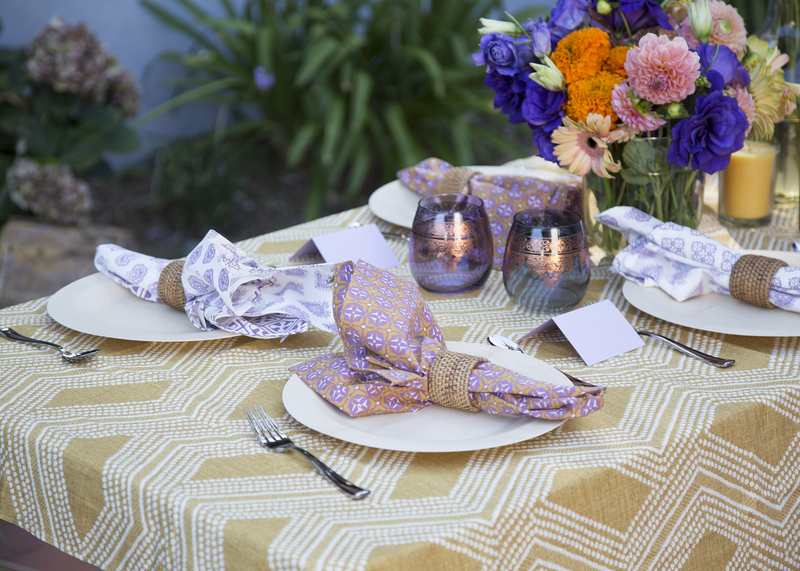 A colorful woven mat provided a gathering point and grounded the decor at our outdoor dinner party. Follow the instructions for cous cous from packaging. Rough chop cilantro, parsley & dill. Toss cooked cous cous, herbs and salt & pepper to taste. Serve on a large Moroccan platter. Boil the chicken breast until tender and set aside to cool. Once cooled, shred the chicken into 1” pieces. Scramble all 6 eggs. Add ½ portion into a frying pan over medium-high heat and let the eggs spread over the pan to make a thin layer. Once cooked thru, flip and cook thru the other side. Repeat with remaining portion. Once cooled, sliced into 2” strips, then slice into thin strip so they look like short 2” long noodles. Julienne both cucumbers and carrots. Wash and soak sprouts. Wash and chop napa cabbage into thin strips. In a large bowl, toss all of the above ingredients so they are mixed through. In a medium bowl, mix soy sauce, vinegar, canola oil, sesame oil, all to taste. Add salt if needed. Add to salad and toss until all mixed through. Add cilantro to garnish. In a large pot, cover oxtail with water and bring to boil for about 5 minutes. Drain water and rinse oxtail. Set aside. In a new pot, add 4 cups of water and bring to boil. Cut scallions into 2” pieces and slice the tomato. Add to boiling water along with oxtail. Reduce to medium heat. Cook for about an hour until oxtails are tender. Chop russet potato into chunks and add to stew. Cook for another 30 mins. Chop sweet potato into chunks. Chop carrots into 2” pieces. Slice acorn squash in half and remove seeds. Then slice into chunks. Add sweet potato, carrots, squash and ginger into stew. Simmer for another 20 mins. or until all vegetables are tender. Serve over cous cous or rice. Follow directions on package for rice. Rough chop kimchi and set aside. Scramble eggs and set aside. Slice Chinese sausage and sauté until ridges are slightly crispy and set aside. Rough chop Chinese broccoli and baby bok choy. Fine chop scallions. Working in two batches, add 4-6 tbsp. of vegetable oil in a wok on medium-high heat. Add half portion of scallions and sauté. Add two cups of cooked rice and coat with cooking oil. Then add half portion of scrambled eggs, Chinese sausage, baby bok choy and Chinese broccoli. Stir fry until all mixed through. Remove from heat and toss in half portion of kimchi. Repeat a second batch with remaining two cups of rice. Serve on large platter with kimchi and cilantro to garnish. In a large bowl, add ground pork, corn starch, salt and soy sauce. Mix to combine. Then add 1/2 cup of water. Mix through with hands. Mixture should be loose and wet in texture. Roll ground pork into 1 1/2" diameter balls and drop into a small pot of vegetable oil on high heat. Fry until crispy brown all around. Strain and set aside over paper towels to soak any extra oil. In a large pot, add 1 cup water and bring to boil. Add meatballs, napa cabbage and ginger slices. Add remaining soy sauce and salt. Lower heat and simmer until napa cabbage is tender and cooked. Bring to boil 4 cups of water and remove from heat. Add fresh mint leaves, 1 cup packed. Add 1 tablespoon of granulated sugar. Steep for 15-20 mins, or till cool. Add a shot of gin to each serving. Stir with ice, strain and serve. Garnish with mint. Peel oranges and slice through the mid section. Place on a large platter and sprinkle cinnamon and rose water over slices.